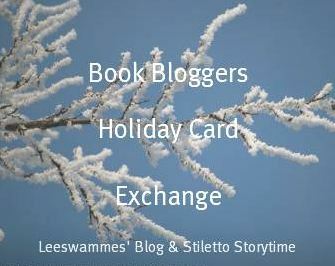 This year, the Book Bloggers Holiday Card Exchange is organised by me at Leeswammes’ Blog and by Courtney of Stiletto Storytime. Anastasia of Birdbrain(ed) Book Blog has passed the baton on to us. Anastasia is the originator and ran this very popular event for two years. Courtney and I were sorry to hear Anastasia wasn’t running it this year, so we’re very pleased she allowed us to take over. As we’re a little late announcing this event we’re more or less taking Anastasia’s text from last year, with her permission (thank you so much, Anastasia!). The Book Bloggers Holiday Card Exchange is an event in which book bloggers send each other a holiday card around the Christmas period (the end of December). This isn’t just for people that celebrate Christmas, though! Everyone is can join in the fun. 1. Sign up for the exchange by November 30, 2012. 2. Emails with partner info go out December 3, 2012 (please check your spam folder if you didn’t get the email, then contact us). 3. You have until December 13, 2012 to send your card(s). Write about a book you’ve read recently. Give a few book recommendations to your partner. Something else book-related that you think up yourself. 5. Since this is a book blogger holiday card exchange, you need to be a blogger who blogs at least sometimes about books to participate. 6. The swap is open internationally. It’s too cumbersome trying to pair up people who do/do not want to send internationally, so everyone must be willing to send internationally. 7. You can exchange up to five cards. You won’t always get a card from the same people you send your cards to. It will nevertheless be an awesome thing. 1. You HAVE to send a card. A card is something like this. You can make it yourself or buy it at the store. Everything you write must be contained in the card itself. Letters are not cards. The card doesn’t have to be book-themed OR holiday themed (but it might be nice if it was). We suggest you refrain from sending specifically religious-themed cards, because that sort of thing tends to offend people, even if you didn’t mean to offend them. 2. You HAVE to write something book-related in your card (see above). You can’t just say “happy holidays.” You COULD just write a list of books and that’s all, but I don’t think that’d be a lot of fun, do you? 3. You DON’T have to send anything else but the card, but if you want to stick in something else that’d be fine. A bookmark, for instance, would be really nice. Whatever you send: it has to be flat enough to fit in the envelope– no upgrading into package territory, here. 4. The most you should spend is $5. The point of the exchange is that it’s cheap enough for us money-less people to participate in, so everything should cost $5 and under. I don’t know if you can even buy a card that costs more than $5. Can you? Courtney and Judith are the only ones who will see ALL the information. You partner(s) will be the only ones besides us who will see your address/email/etc. After the exchange is over all the info will be deleted. Also, please do spread around the link for this post! Feel free to take the graphic at the top of the post and post it on your blog, etc. The more people know about the BBHCE the more fun it’ll be! Fill out the form below to sign up for the exchange! Fill out THIS FORM. Partners will go out December 3rd. Oh, and the Twitter hashtag is #bkcardex. It’s true, cards are very expensive in the UK. Here in the Netherlands it’s a little better – I tend to buy boxes of nice Christmas cards, probably 6 or 8 cards for 8 euros ($10, 6 pounds). Awesome idea!! I used to participate in Postcrossing some years back and loved it, so this is a nice variation of it, plus book related which is always a bonus! Great that you’re joining in Birgit. I hope you’ll find it lots of fun. So glad you’re taking this on! It’s one of my favorite events. Yay! Good to hear it, Cass. I’ve signed up! Call me old-fashioned but I still love receiving handwritten mail. Thank you for hosting, Judith. We hardly ever get hand-written mail. It’s a pity. That makes this card exchange extra special. Glad you guys picked it up – so much fun! Thanks, Alex. Good to have you join in! Thanks for joining in, Jennifer. What a great idea! I used to handwrite and mail letters when I was a teenager, but these days I don’t even send cards on birthdays anymore. So sad that a quick “happy birthday” etc. message on Facebook is perfectly acceptable now. This is much more fun! Shannon, these days it’s so exciting to get a proper card or letter. I do think facebook isn’t a replacement for it. Love the idea, and I just signed up. I think it is really nice to receive and send cards to eachother, especially if you know the others are book-lovers as well! Bettina, nice to see a fellow Dutchwoman join in. Great idea! This will be my first time participating! This will be fun. I haven’t sent cards out for a few years, but I bought a box of them at the end of the season last year so I’m all set! I kind of miss getting ‘real’ mail once in a while. Leslie, I also enjoy getting real mail! These days it’s all bills and advertising. Hey, nice to have you join in, D. Ann! Hope you find some fun cards. Yes, wouldn’t that be great, Rosemary! I know bloggers in the USA did a cookie exchange last year. I signed up, even though on the blog this week I revealed that I despise handwriting, mostly because my scrawl is not always readable. Isn’t it in the spirit of the thing to type something, print it, and glue it into a card? Love this idea! Thanks for arranging all this. Thanks for joining in, Gavin! This is wonderful! I’m in! That’s great, Melissa. Thanks for joining. Thanks for joining in, Sam. Thanks for keeping the tradition going. This is my first year participating and I love the idea 🙂 Added the graphic to my sidebar. Nice that you’re joining in, Lucy. I hope you’ll enjoy it! I’m in…thanks so much for hosting…I put the button and a link on my sidebar to spread the word! Thanks for joining in, Melissa, and for spreading the word. Okay, I am joining in. I have holiday cards and am bad with gift exchanges. I am better at mailing cards, so this should be fun! I would like to participate. But I did not see this until Dec 1 and the form is not available because the deadline was yesterday. Can you allow me to participate? This sounds like fun! Awe I’m sad!! I just found the link on another blogger’s site! 😦 I’ll have to be on the lookout next year! This is such a great idea! Sorry that you didn’t find us in time, Kayla. Hopefully you can join in next time. Pingback: Weekly Round Up (01.06.13) « alita.reads. 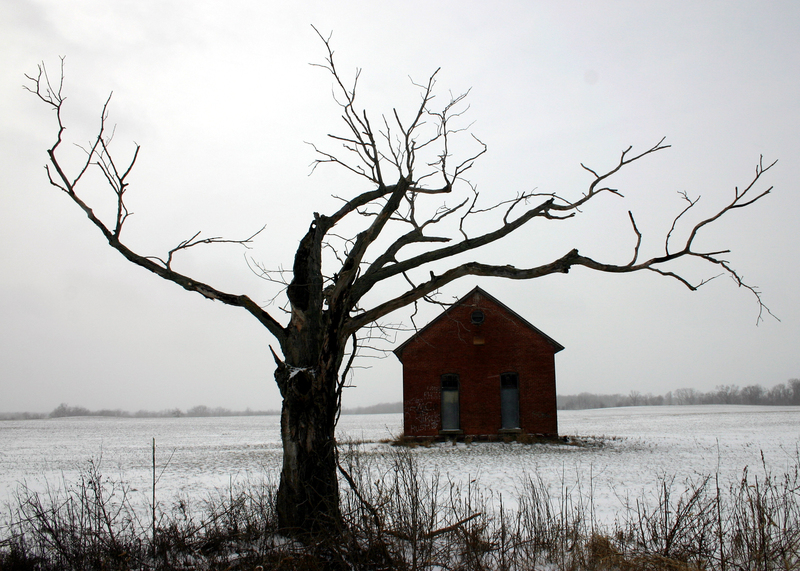 Pingback: Weekly Round Up (01.13.13) « alita.reads.